All of the items below may be purchased at our Gift Shop online through www.melttheheart.com. The Golden Delights cookbook can also be purchased at Fairview Haven. Fairview Haven benefits from the proceeds of the CDs and cookbook. The book, Living With Multiple Sclerosis, was authored by a previous resident at Fairview Haven, and may also be purchased online. ﻿To commemorate our 50th Anniversary here at Fairview Haven, we've compiled a cookbook containing 331 pages of delicious recipes, contributed by many different experienced cooks! Includes all NEW recipes! Recipes were donated from many sources, including past and present residents, family members of residents, Fairview Haven team members, supporters and volunteers and those who attend the supporting churches of Forrest, Fairbury and Cissna Park. A cappella mixed group sings many beautiful hymns. Remastered for CD! Includes The Church in the Wildwood, Along the River of Time, Were You There, and many other favorite hymns. Click each song title below to listen to a sound sample. A cappella mixed group sings many beautiful hymns. Remastered for CD! Includes The Lord Will Provide, Our God, He Is Alive, Master of the Storm, and Come Unto Me. ​Click each song title below to listen to a sound sample. 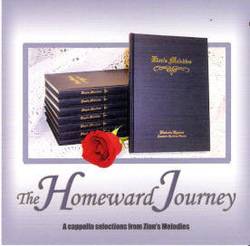 A cappella hymn singing from the Zion's Melodies Hymnal; includes Rise O Soul, Where Shall I Go, The Sea of Eternity, Great is the Lord, The Heavens are Praising, and many others. ﻿A cappella hymn singing by Fairbury Apostolic Christian Young Group. Includes Our God He is Alive, How Long Has it Been, Where the Soul Never Dies, The Great Redeemer, and others. Living with Multiple Sclerosis is a true story about a man who was diagnosed at age 37 with Multiple Sclerosis. Tom Golladay, family man, lived with the many changes and conditions of this devastating disease.